The estimated £11 billion needed to cover the cost of the UK’s smart meter roll out looks set to increase because there’s a shortage of engineers with the skills to install gas and electricity meters – bad news for consumers, who could see energy bills rise even further to meet the extra costs. The government wants energy suppliers to install smart meters in all 26 million homes across England, Wales and Scotland by 2020. The idea of a national rollout came about because the European Union (EU) asked all member governments to consider smart meters as a way to help upgrade energy supply and tackle climate change. The UK government then adopted smart meters as part of their plan to update the country’s ageing energy system. It’s believed smart meters will help save consumers energy and money as they give you more control over your energy use, help you understand your bills and allow you to see what the energy you use is costing you. Why the smart meter roll out could end up costing you more? A dearth of qualified engineers means that those who can install smart meters are having to put in more hours to meet the demands of the 2020 deadline, and more hours means higher wages. 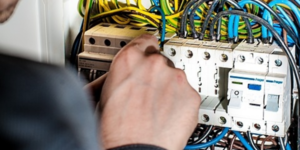 Engineer salaries have risen by as much as a fifth in the last year alone, up from £27,000 to £33,000, and could go as a high as £36,000 once bonuses are factored in – effectively increasing the cost of each installation from £90 to £140. And you may not be aware, but you and every other domestic energy consumer in the UK is helping to pay for the scheme, via levies on energy bills. Suppliers have already warned this is pushing up costs, notably British Gas, who admitted it was one of the reasons behind the recent 12.5% price hike. Some suppliers, including SSE and EDF Energy, have publicly called for the government to re-think the 2020 deadline, and it’s possible the rapid rise in costs could be slowed or even halted if the existing base of engineers were given more time to carry out installations. It doesn’t matter whether or not you’ve had a smart meter installed, there’s a simple way to start saving money on your energy bills now – switching provider. Run an energy price comparison with us today, and you could potentially save up to £618* on your annual gas and electricity bills. *Between 1 Jun 2016 and 30 Nov 2016, at least 10% of people who switched energy supplier for both gas & electricity with uSwitch saved £618 or more.